I create my floorplans from scratch using my imagination, pens, pencils and my trusty drafting table. 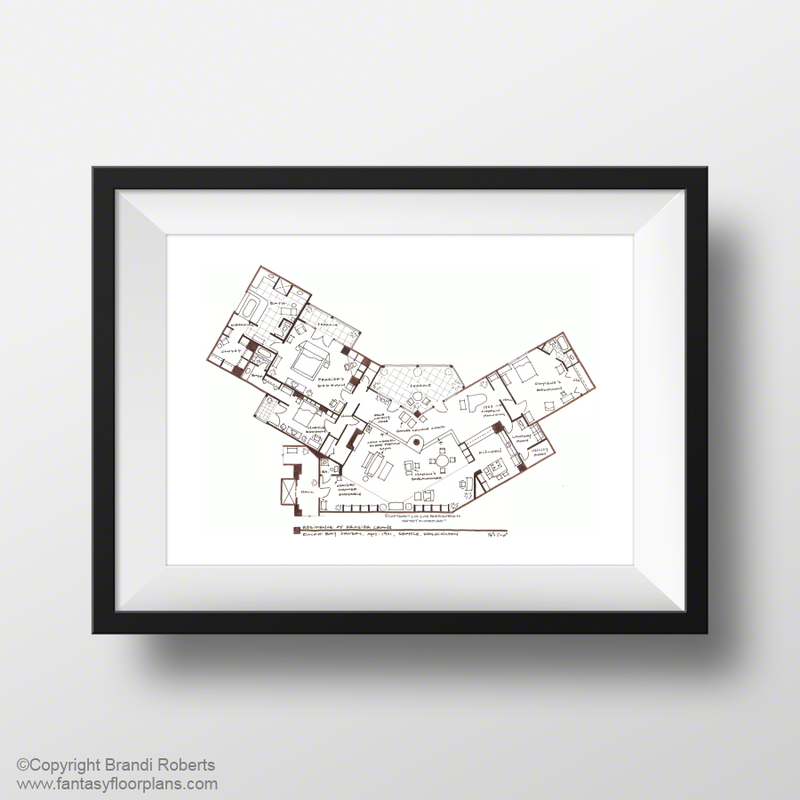 My Fantasy Floorplans™ are a head-turning conversation piece on the wall of your home or office. All of my floorplans are purely ficitonal and hand-drawn on paper. Prints are reproduced from my original (and expertly) hand-drafted drawings. Prints are printed on matte paper with fade resistant inks. 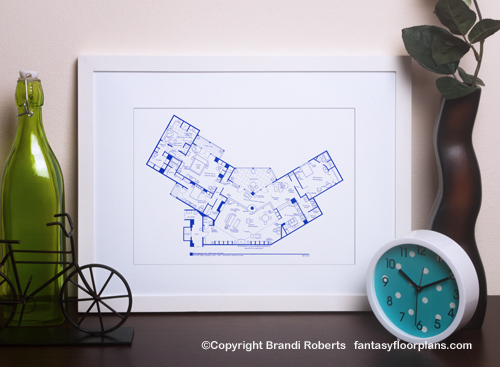 Blue prints are printed in blue ink to give it that authentic “blueprint” look. My floorplans are also available with black lines instead of blue. Fantasy Floorplans are available signed by the artist and unsigned. All prints are packed in protective packaging, which includes a custom acid-free backing board and glossy cello sleeve.